I can't sleep in on vacation. I'm just so excited to be there that I'm up at the crack of dawn. So, two weeks ago when I was in Ohio for my brother's wedding, my mom and I were out early Saturday morning strolling around Cincinnati when we stumbled upon their City Flea in Washington, Park. Of course I experienced immediate and intense FOMO. Because I was there but it wasn't open yet! (And somehow sneaking out of wedding prep didn't seem like a good plan). The good news is, we did get the card from one particularly cute stand Harper's Flea. Luckily for you and me, they have an Etsy shop that sells many of their adorable finds. 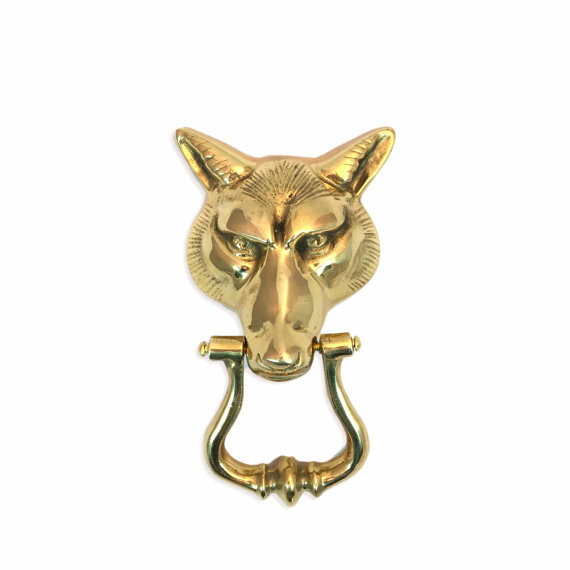 Brass animals? Foo dogs? Pineapples? They've got it all. I wish they had a bit more of their furniture on the site (there was a ton at the flea) but there is still plenty to go around. Be sure to check out their entire online shop here. You can also follow them on Instagram for more great pieces. Somebody buy them all before I do.